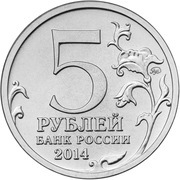 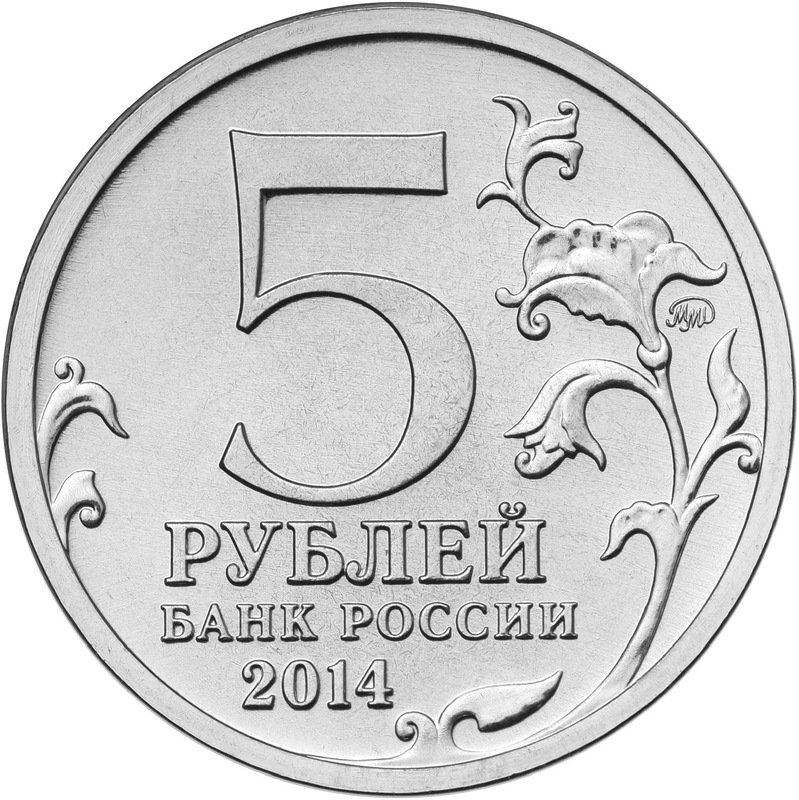 In the centre – the indication of denomination of the coin: "5 РУБЛЕЙ" (5 RUBLES), lower – the inscription: "БАНК РОССИИ" (BANK OF RUSSIA), under it – the issue year: "2014", to the left and to the right – a stylized twig of a plant, to the right at the rim – the mint trade mark. 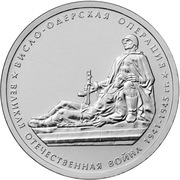 The relief image of the monument on the Cemetery-Mausoleum of the Soviet warriors in Warsaw, along the rim –inscription, divided by two asterisks, above: "ВИСЛО-ОДЕРСКАЯ ОПЕРАЦИЯ" (THE WISLA-ODER OPERATION), below: "ВЕЛИКАЯ ОТЕЧЕСТВЕННАЯ ВОЙНА 1941-1945 гг." 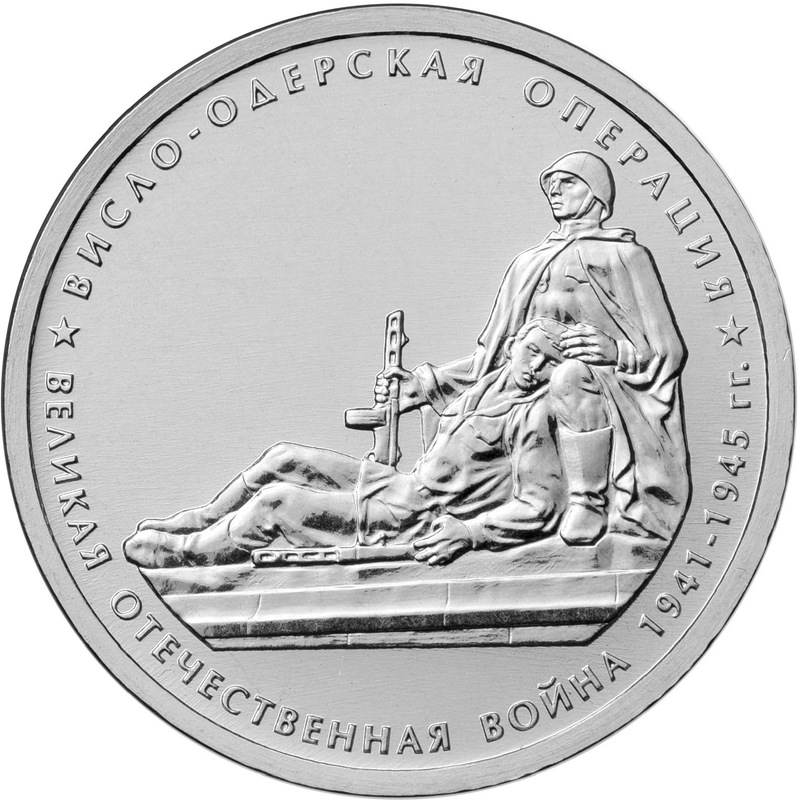 (GREAT PATRIOTIC WAR 1941-1945).